While on my wonderful excursion through Harry Potter World in Universal Studios, Orlando, I marveled at the pricing of, well, basically everything. It got me thinking – what is the most overpriced item in a vacation? What is the most you’ve ever (over)paid for an item while travelling? I have gone through several examples of high-margin items which rake in the profits for hospitality companies. These span more than just the theme parks mentioned, but include restaurants, hotels, clubs, casinos, cruises and other travel industry mainstays. Not all of them I have purchased, but it is a marvel to me how much of a markup companies can place on their items. If people are willing to pay the premium, why shouldn’t these companies charge what they do? Please note – I am only focusing on direct cost of goods sold, which does not include things such as labor, overhead, or other items such as tax or service charges. Typically, at restaurants (especially higher-end ones) you can find your soda at roughly $3. According to foodservice.com, a popular industry forum, the direct cost breakdown for soda is about 8.5 cents for the cup, lid, and straw, and about 10-13 cents per cup of soda. Assuming one refill and a 12 cent average cost of soda, the profit comes to about $2.68 of a $3 cup. This is a profit margin of 89%! Talk about overpriced. At Universal Studios in Orlando, they sell a specialty Coca-Cola Freestyle cup for $13.99 plus tax. This cup gives you access to their Freestyle machines, dispensing 24 ounces of product a maximum of once every ten minutes. It is also only valid the day of purchase. Assuming you refill it every ten minutes during the 12 hours of park opening in a day, that comes to 72 refills after the initial purchase. These 73 fillups cost say 10 cents each, for a total of $7.30 With a cost of cup at say 50 cents (since it is large and plastic), the profit margin comes to $14 less $7.80, coming to a profit of $6.20, or 44%. However, if you only refill a more reasonable once per hour, the profit margin jumps to 87%! ($14 less $1.80 is $12.20). Universal had free-flowing butterbeer throughout both Harry Potter parks. Both the frozen and liquid versions were $8, and produced in such quantities it most likely cost at most 5-10% of that to produce. This one is a big one. In my previous experience at a bartender, I have heard ranges of product cost as anywhere between 10% and 25% of the sales price. The draft beer for $5-8 costs a fraction of that, making for a very substantial markup. The same is for hard liquor and wine. In clubs, you could get bottle service for roughly 10 to 30 times the retail cost – which pays for the experience and ambience. While you usually can find free water at restaurants, cafes, or water fountains, the markup on bottled water is absurd. One report has it at a 280,000% markup compared to tap water, which is absolutely ridiculous – and represents a profit margin of 99.96%! Granted, it’s probably slightly less than that, but I am reminded of my experience seeing people purchase $7 to $10 bottles of 11oz Fiji Water in clubs. Usually when you ask for water they do not charge, to make sure you are hydrated and stay alive, but some places in Las Vegas will refuse to give you cups and make you buy the bottles instead. Smart of them business-wise, but I do not think anyone enjoys that overpriced water. I feel this one is more “reasonable” – being roughly 33% of the cost of sale, for about a 67% profit margin. Because of this, I am more open to purchasing food rather than drink when I go out. 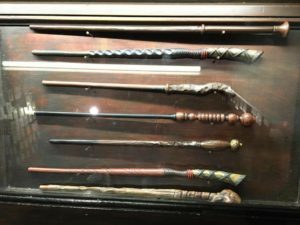 I have to bring my attention back to the wands in Harry Potter world. Wands are a quintessential part of the magic and mystery. Thus, it’s no wonder they have such a prominent place in both parks, with an attraction all its own. One associate informed me of the 600% markup on a $48 interactive wand, for a profit margin of 86%. Every child, teen, or even adult who knows the Harry Potter story will want one, at a minimum. You can get a famous character’s wand, or even purchase one corresponding to your special date. Similar markups can be found on their stationery, robes, clothing, t-shirts, or other items. It feels like a literal money-printing machine at theme parks. You’ve spent so much money getting there and staying there, what’s one more cost? I always plan ahead before going out – how much do I intend to spend, and what am I going to spend it on? A helpful tip that works for me, is assigning a valuation to a product before looking at the price. Can I justify this purchase without stretching too much? Typically it will be much more than your valuation. But, if it’s close in price that may be something to consider. 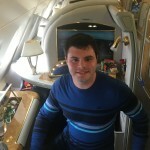 It was a great experience to think about this and combine this trip at a theme park with other outstanding examples of high margin items I have found during my travels. This is how companies stay in business, by creating products and selling at prices people are willing to pay. Featured image from pixabay of Coca-Cola. PreviousWhy Don’t More Airlines Serve French Fries On Board? Brunch at Burj Al Arab, at $280 USD per person I was like heck no! Ha – they know someone will pay it! While I want to stay at the PH Maldives, the lack of breakfast and seaplane transfer cost makes me pause. you should reconsider – it was a paradise. I am Diamond member so breakfast was included along with an evening cocktail and appetizer. we filled up on a late breakfast and only spent about $600 for 7 nights of dinners. Certainly – as a mere Platinum we do not get breakfast/cocktail/appetizer, even if we tell them it would be for a honeymoon or something (I expect). Most overpriced item is AT&T wireless data roaming when overseas. I pay approx $4 for a gigabyte of domestic data. Overseas they charge $2.05 pr MEGAbyte. Given that there are 1,024 mb in 1 gb, ATT marks up the data by a factor of 500+. This is the number one travel ripoff. Certainly – data, internet, and cell service is definitely overpriced.